For various reasons, concepts of profession, professionalism and professional conduct are of considerable political interest and concern, especially in modern liberal democratic contexts and economies. For one thing, the idea of profession has become the modern gold standard of occupational status: for another, insofar as ideas of profession or professionalism have been associated with notions of enhanced occupational standards, to regard workplace conduct as ‘professional’ is to consider it to have been performed according to the highest moral and technical standards. That said, it seems that such notions are liable to unhelpful confusions between different and distinguishable senses of such terms as ‘profession’, ‘professional’ and ‘professionalism’. 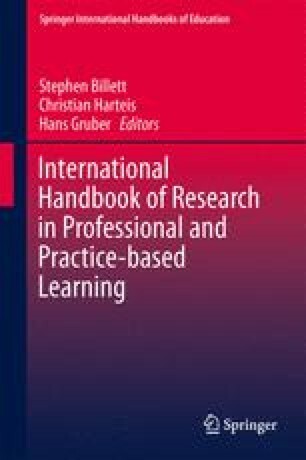 From this viewpoint, the first aim of this chapter to distinguish and clarify different senses of professionalism and profession – in particular, to distinguish ‘profession’ as a term for a particular type or category of human occupation from a broader notion of ‘professional’ as a more general term of normative appraisal. Following this, however, the chapter turns to deeper exploration of profession, arguing that while other occupations can and often are conducted morally, what mainly distinguishes professions from other occupations is their inherently ethical nature and status. Further to this, the chapter also aspires to give a distinctively ‘virtue ethical’ account of such status focused on the development of ‘professional phronesis’.